Good Tuesday morning. 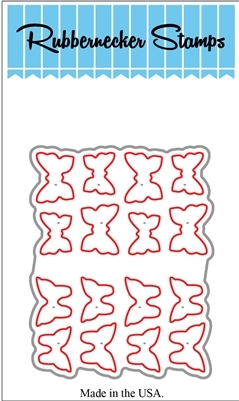 My project today is a sweet die cut Easter bunnies card that I made for the Splitcoaststampers Clean and Simple Challenge. The challenge this week was to make an Easter or spring celebration card. I always enjoy creating scene cards using the Rubbernecker Stamps Bunnies. For this card I paired the bunnies with the Grass, Grass #2, Small Flowers #1, Small Butterflies set and framed it using the Rectangle Combo #3. Attach the three largest sections together using double stick tape. 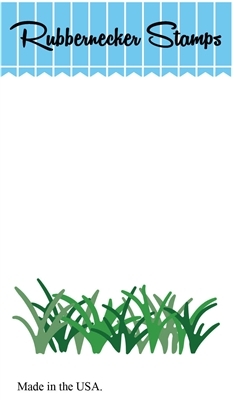 Cut the grass border and small grass sprigs using green cardstock. Attach the grass border to the back of the frame using double stick tape. Attach the grass sprigs to the back of the grass border using glossy accents. Apply mounting tape to the back of the frame and attach it to the card base. Apply a light layer of Antique Linen ink to the bunny using a mini applicator. Apply darker shading to the bunny using Vintage Photo ink and a mini applicator. Apply mounting tape to the back of the bunnies and attach them to the card base and frame. 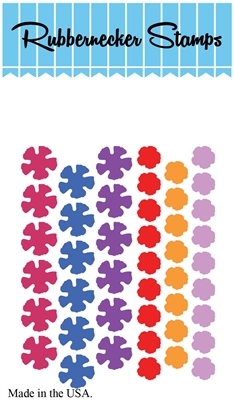 Cut the flowers using purple, yellow, pink and aqua cardstock. Cut a section of the Leaf Group using green cardstock and cut the branches apart. Tuck the small branches in behind the grass and attach to the card base using glossy accents. Attach the tiny flowers to the branches using glossy accents. Cut the small butterflies using purple, aqua and pink cardstock. Attach the butterflies to the sky area using glossy accents. Attach pre-made white Nuvo Crystal Drops to the center of each butterfly using glossy accents. I hope you enjoyed seeing my die cut Easter bunnies card. It is one of many that I have made using this sweet die set. I appreciate you coming by and I hope you have a great day. SO SWEET, Kittie!!! 😉 LOVE those bunnies! I just want to hold the bunnies…..lol. Thank you for sharing your wonderful creativity…. Cute, cute, cute beyond words! A very adorable scene, love the sweet, flowers and butterflies with your too cute bunnies!